George Matus was 11 years old when he flew his first drone. “I was immediately hooked,” the young man tells me with a grin. By age 16 he was competing as a professional drone racer and acting as a test pilot for new aircraft. Now 18, he recently finished high school but decided to defer college, opting instead to pursue a fellowship offer from tech billionaire Peter Thiel. He used that money to start his own company, Teal, which today is launching its first product, a consumer facing drone that a beginner can easily fly with an iPhone to capture 4K video. The difference between Teal’s first drone and the competition is that this unit can also perform like a racecar, reaching speeds of 85 miles per hour while flipping, diving, and performing barrel rolls. I got the chance to see Matus fly, and the performance of the prototype unit he showed me was breathtaking. Unfortunately it didn’t have a 4K camera ready yet, so I couldn’t judge the quality of the footage or stabilization. It also didn’t have its guidance systems fully in place, and so there was some noticeable drift while hovering. Matus says all these things will be fixed by the time the drone ships. The company is coming out of stealth and launching preorders today, charging $1,299 for a unit (which it promises will arrive before Christmas of 2016). Matus hopes that Teal will become a platform full of third-party apps created by developers. The company is making its API available at launch and is going to be distributing the unit at hackathons and maker fairs around the country. It will be an uphill battle. Developers tend to focus on platforms that have customers, and there are already large, established competitors with open APIs, like DJI and 3D Robotics. What Teal has is youthful optimism and a drone built for far more rough-and-tumble flight than most consumer offerings. 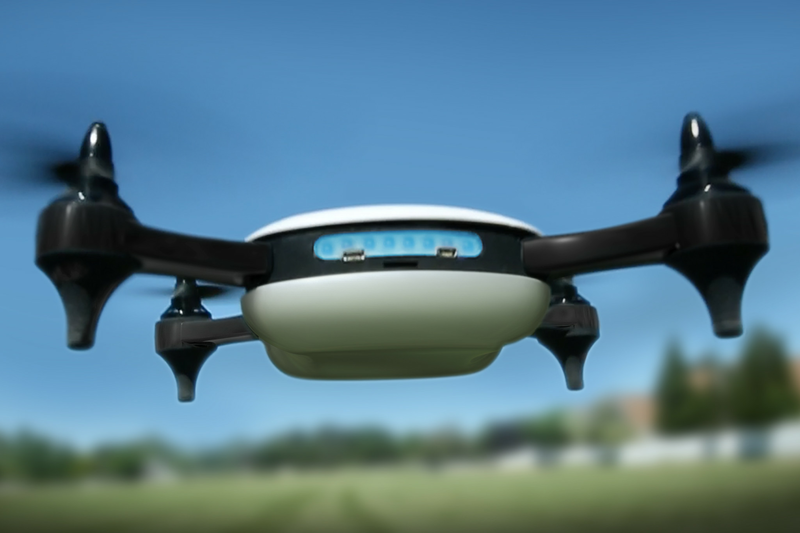 Not only can it fly 85 mph, but it claims to handle in 40 mile per hour winds, and is waterproof enough to be flown in rain or snow, a claim no other consumer drone makes. Matus, who still lives with his parents in Utah, is a charismatic evangelist for his product, which is being made in the USA. The trick now will be producing flawless units at scale, something that startups like Lily and 3D Robotics both stumbled on when crafting their first consumer facing camera drone.